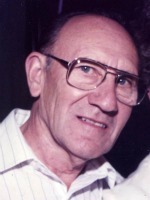 Robert ‘Bob’ G. Quarry Sr. of Otsego, Michigan passed away Wednesday, July 27, 2011 in Kalamazoo. Bob was born October 22, 1928 in Allegan to Ralph and Pearl (Hendrickson) Quarry. He served his country during WW II in the Navy. Bob worked many places including, Dow Chemical, sanding floors for his step-dad, Rockwell International, the MacSimBar, Burrough’s Mfg., the Kalamazoo State Hospital and National Water Lift. He enjoyed coin collecting, hunting, fishing, golfing, and riding his motorcycle especially in poker runs and the Memorial Day Parade. Bob was a member of the VFW Post #3030, the American Legion and the Otsego Moose Lodge. On October 9, 1948 he married Beryl Yankle who survives. Also surviving are his children, Maria (Frank) Scarsella of Delton, Roberta (Larry) Karenko of Las Vegas, NV, Steven (Barbara) Quarry of Otsego, David (Diane ) Quarry of Allegan, Terry (Jackie) Quarry of Ontario, OH, Sharon (Joseph) Case of Martin and Robert Jr. (Jo) Quarry of Otsego; 17 grandchildren; 29 great grandchildren; 3 great-great grandchildren; his half-siblings, Joyce (Ron) Mann, Gilbert Goucher and Aleta (Leroy) Enos; many nieces and nephews. He was preceded in death by his brothers Donald and Raymond Quarry and a grandson Justin. Friends may meet with his family from 1-4 P.M. Sunday at the Winkel Funeral Home, Otsego, where Military Honors will be presented at 4 P.M. A luncheon will follow at the Otsego V.F.W. Post #3030. Contributions in memory of Bob may be made to the American Cancer Society. Betty Nimtz of Otsego passed away Wednesday, July 20, 2011 in Kalamazoo. Betty was born August 2, 1927 in Otsego to Leon and Evelyn (Hoke) Filkins. Betty enjoyed golfing, bowling, working jigsaw puzzles and was a prolific reader. She worked for several years in the cafeteria for Otsego Public Schools and was a past Member of the Otsego Lady Elks. On March 30, 1947 in Otsego she married Arthur Nimtz who survives. Also surviving are her children, Larry Nimtz of Otsego, Gary Nimtz of Holbrook, MA, Carol (Mike ) Miller of Otsego and Karen (Rick) Clemens of Kalamazoo; 5 grandchildren; 9 great grandchildren and 1 great-great grandson; her siblings, Marian Mario of Galesburg, Jack Filkins of St. Petersburg, FL; many nieces and nephews. She was preceded in death by her brothers Gary Filkins, Russell Fillkins and Bob Filkins and her sister, Gerry Moran. Friends may meet with her family from 2-4 P.M. and 6-8 P.M. Sunday at the Winkel Funeral Home, Otsego, where services will be held Monday at 11:00 A.M., with Pastor David Youngs officiating. Burial will follow at Mountain Home Cemetery, Otsego. Contributions in memory of Betty may be made to Otsego Elks or American Cancer Society. Glen L. “Jerry” Lawrence of Otsego, Michigan passed away Sunday, July 17, 2011, in Plainwell. Mr. Lawrence was born October 26, 1918 in Earlville, Iowa to James and Bessie (Powell) Lawrence. As a young man Glen served his country in the U.S. Army in the Pacific Theater. Following his time in the service he worked as a Heavy Equipment Operator for the City of Otsego for a short time before he began working for Menasha, retiring after more than 30 years of employment. Glen enjoyed tinkering as a mechanic, fishing, camping and music; he played the guitar, violin, organ, banjo, mandolin and the harmonica. He was a member of the Otsego V.F.W. Post #3030 and of the Seventh Day Adventist Church in Otsego. Glen is survived by his children, David Lawrence of Jackson, Michael (Cindy) Lawrence of Mancelona, Sheri (Ron) McDaniel of Otsego, Marilyne (Brian) Johnson of Otsego, Tim Lawrence of Portage, Steve (Betty) Lawrence of Kalamazoo; many grandchildren, great-grandchildren, nieces and nephews; and by a special extended family member, Frank (Carol) Clark. He was preceded in death by his daughters, Sandra K. Clark and Sheryl Ann Lawrence; siblings Ed, Walter, Eva, Elaine, Maudine and Betty. Friends may meet with his family Friday, from 12 noon until 1pm at Winkel Funeral Home, Otsego, where services will be held at 1:00 P.M. Elder John Lanphear officiating. Burial will follow at Mountain Home Cemetery, Otsego with military honors by VFW Post #3030 and by the Michigan National Guard. Contributions in memory of Glen made be made to the Seventh Day Adventist Church of Otsego. Ronnie Clair Leonard of Kalamazoo, Michigan, died Thursday, July 14, 2011, at his home. Ronnie was born October 24, 1953 in Dowagiac to Richard and Margaret (Blanchard) Leonard. For 17 years he was employed with Welch Foods in Lawton and later worked at Motan in Plainwell for several years. In his leisure time he enjoyed airplanes, playing fetch with his cat Alley; making model cars and airplanes and woodworking. Surviving are his wife, the former Jo Alice Peterson; two sons, Richard and Billy; one granddaughter; a brother, Dale Leonard of Harford; a sister, Bonnnie Penney of Lawton; best friends, Ron Plotts of Plainwell and Tom Butcher of Lawton; many cousins, aunts, uncles, nieces and nephews. In keeping with his wishes cremation has taken place. Contributions in memory of Ronnie may be made to the family. 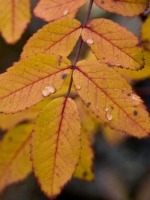 Lester E. Long of Otsego, Michigan, passed away Monday, July 11, 2011, in Kalamazoo. Mr. Long was born August 5, 1939 in Otsego to Russell and Marie (Mollitor) Long and was a lifelong resident of the area. For over 15 years he was employed with Brown Company, which became James River. He was an avid league bowler and had been honored with a plaque recognizing his 50 years as a bowler. Lester was a member of the Otsego Moose Lodge #345 and a life member and active volunteer of the Otsego V.F.W. Post #3030. He was preceded in death by his wife, Phyllis (Leighton) in 2002; three brothers, Lewis, Wilbur and Russell; and a sister, Rosemary. Surviving are his companion, Mary Pape; two sons, Ron Long and Brian (Terri) Long; four grandchildren, Matthew, Ashley, Alicia and Joshua; four great-grandchildren, McKayla, Brianna, Mara and Cameron and several nieces and nephews. Friends may meet with his family from 2 to 4 and 6 to 8 P.M. Thursday at the Winkel Funeral Home, Otsego, where services will be held at 1:00 P.M. Friday, Gretchen Lee officiating. Burial will follow at Mountain Home Cemetery, Otsego. Contributions in memory of Lester made be made to the family for expenses. Dale Joslin of Otsego, passed away Friday, July 8, 2011 in Wayland. Dale was born August 13, 1975 in Martin, Michigan to Dale and Charlotte (Frank) Joslin. Surviving are his mother, Charlotte Joslin of Otsego; a daughter Destiny Newhouse, of Lander, Wyoming; 3 brothers, Mike Durfee of Merson Corners, Dan Durfee of Otsego and Zane Joslin of Allegan. He was preceded in death by his father, his brother Chuck Joslin and a nephew, Zachary ‘Mo’ Joslin. Cremation has taken place. A Memorial Service will be held at Winkel Funeral Home, Otsego on Friday at 11:00 AM., Elder John Lanphear officiating. Burial of ashes will take place at Mountain Home Cemetery, Otsego. Contributions in memory of Dale may be made to the family for funeral expenses. 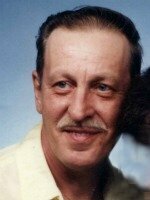 Gary L. Taylor of Mount Pleasant, Michigan passed away Saturday, July 2, 2011 in Otsego. Gary was born February 7, 1950 at the Greenville Hospital in Montcalm Co. to Leon and Reva (Nostrant) Taylor. Gary had been employed at the State Hospital as a Medical Aide and enjoyed tinkering in the garage. Surviving are 6 daughters, Teresa McCarthy, Jenny Taylor, Shawna Camacho, Cami Kirsch, Laura Buchin, Kendra Hood and 2 sons, Jeremy Taylor and Jon Dean; a brother, Ron Taylor and sisters, Connie Dean and Myra Hall. Gary was preceded in death by his parents, Leon and Reva Taylor, a brother Jim Taylor and his companion, Carlene Hood. Cremation has taken place. Friends may meet with the family for a memorial service on Tuesday, July 5, 2011 at 1:00 P.M. at the Isabella Baptist Church in Mt. Pleasant, Michigan. In lieu of flowers contributions in memory of Gary may be made to the American Cancer Society. 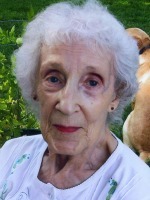 Genevieve Overton of Otsego, MI passed away Friday, July 1, 2011 in Plainwell. She was born June 29, 1914 in Argentine Township, Gaines, Michigan to Jacob G. and Mae (Arms) Judson. Genevieve taught 1st grade for over 30 years for the Detroit Public Schools, she was active in a Bridge Club and was an avid reader belonging to several book clubs. She enjoyed traveling with her sisters, loved the water and spending time with her family and grandchildren. Surviving are a daughter Diane (Charles) Housel of Otsego and a son, Craig F. Overton of AZ; 5 grandchildren, Michael (Jacqueline) Leland, Steven (Kendra) Leland, Todd (Jennifer) Housel, Deborah Overton, Christopher Overton; great-grandchildren, Justin Leland, Jordan & Tori Hutton; her siblings, Marjorie Seidorf, Marguerite Hobson and Fred (Doris) Judson; many nieces and nephews and a special niece Joan Donnelly. She was preceded in death by her husband Charles and sister Jennie Donnelly. According to her wishes cremation has taken place. A Memorial Service will be held at Winkel Funeral Home, Otsego on Saturday, July 9, 2011 at 11:00 A.M., Pastor Leigh Larson officiating. Burial of ashes will take place at Grand Lawn Cemetery, Detroit at a later date. Contributions in memory of Genevieve may be made to the Alzheimer’s Association or the Heart Association.